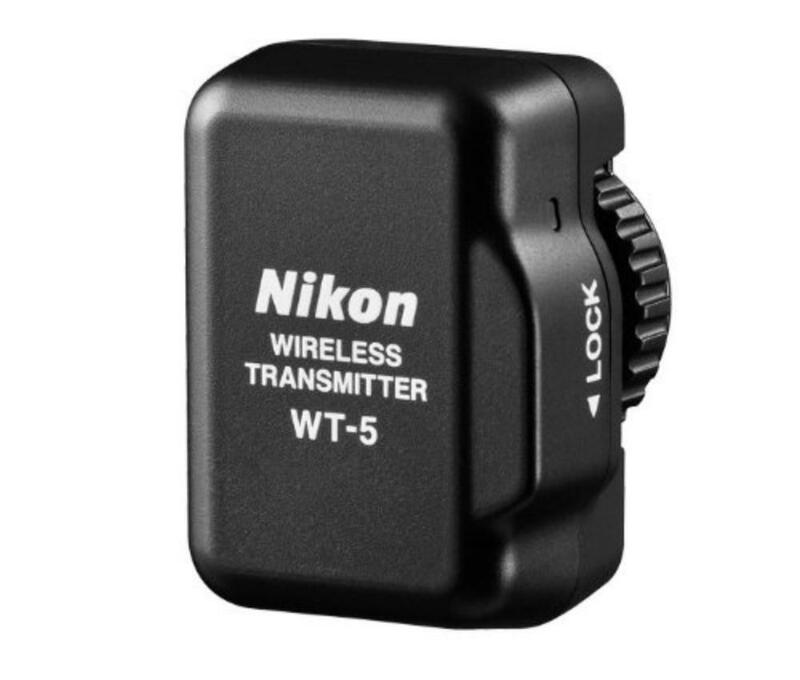 The Nikon WT-5A Wireless Transmitter offers the following connection types/features when paired with a D4S/D4 DSLR (camera rentable separately): FTP Uploads, Image Transfers, Camera Control, HTTP Server, and Synchronized Release. It connects to the D4S/D4's peripheral connector on the side of the camera body. Please follow the steps in this manual to configure. To fully take advantage of this device, you must use a D4S or D4 (unless you're also using a U1 Unit, which is not included), connect this WT-5A to the D4S/D4, configure it with the help of the manual and use a computer/laptop, smartphone, or tablet with WiFi capability to connect to the WT-5. Your device and your D4S/D4 should then be able to "talk" to one another via the WT-5. • This transmitter has 5 versions, of which this rental is only 1 of them. Different versions are compliant with different regions around the world. This transmitter may not operate outside of the United States, Australia, New Zealand, Japan, and South Africa as intended.